No need to. Kadri is gone for the rest of this series, and maybe some games next year. I,ll be surprised if Toronto keeps him. Awesome win for Tiger. Glad to see he golfs better than he can pick good looking women. Lots of great hockey, and upsets so far. I would love to see Washington get beat out in the first round, to really open it up so every other team would have a chance to win the cup. Yup, and Toronto will be toast shortly after 5 games as well. Babblecock will be doing some sputtering in his post game interviews, which are going to be tough to do. Great to see Montreal out. About the same value as a 2019 poolaris 850. Not bad. Glad they won that award, in exchange for giving the magazine the most advertising dollars. Any idea how much lesser depreciation they would have if they didn,t win that award ? I,m guessing they would be worth about 40 % of the new cost after 1 years depreciation, instead of 50 % where they were before this awesome award. You mean someone like bennytoomany ? How many re-builds has it had so far ? I,m amazed Bennytoomanys wife hasn,t given the retard the boot. 35, going on 16. Hey Alaskan gnome, I guess you didn,t get the memo. It wasn,t mine that burnt. Mine ran perfect at 240 HP all winter long, while the poolaris in our group ran like a 440, carrying a 250 lb bag of sand. Midrange stumble was pathetic, like many of the other ones the honest 850 poo owners reported. Unmatched, unreliability. I know, I read his stupid responses trying to defend himself, and twist the words around so he at least seemed to have a bit of a clue. I can just imagine how much guidance he needs to do his job. He,s probably still looking for the steam bucket they sent him out to get a couple of weeks ago. His responses are about on par with a 3rd grade kid. Good to see f7ben, the forum idiot and crash test dummy, that cann,t even find loose flywheel bolts, still alive, and kicking. Wonder what sled is the flavor of the week, this week ? Changes his mind more than a 6 year old girl. Not my sled. Mine ran perfect all season at 240 HP, and is all cleaned up and polished, waiting for next season. The 850 poo in our group ran like 440 trying to carry 250 pounds of sand. 2019 poo 850, unmatched trade in value @ 50 %. Hope they use lube on you this time. Frosty Nuts Turbo burn down? Mine ran perfect all season, at 240 HP. All cleaned up and polished, waiting for another great season next year. On the other hand, the 850 poo in our group ran like a 440, trying to carry 250 pounds of sand. 2019 poo 850, unmatched trade in value @ 50 % of new. That is a mute point. It shouldn,t matter how dark it is. 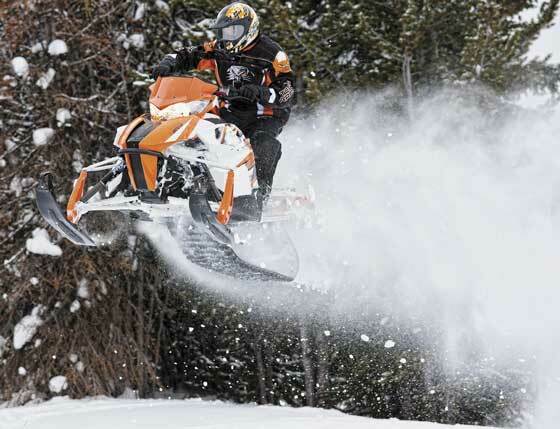 IF you have care and control of your sled, that accident should never happen. I,m amazed at the number of kids on here that cann,t take responsibility for their own stupidity. Glad to see Darwin trying to do his job.